Manage your projects, organize files and share documents in simple consulting project management software. WorkflowMax integrates with the top document management solutions used by consulting firms, including Google Drive, Dropbox and Box. Get your team working together with awesome collaboration tools. Your clients can even add their two cents to project files and see when tasks are due. WorkflowMax consulting software enables you to store documents against jobs for easy access. It integrates with your favourite document management apps to give you complete control. Whether you’re at a client’s office or exploring the Amazon rainforest, with WorkflowMax as your professional services management software, you can manage your business anywhere. Want to know what type of project earns you the most money? Or whether you’re under-billing a customer? Reporting answers your pressing business questions. From the project management dashboard you can assign jobs to your team, track project timelines and receive email notifications when jobs are running late. WorkflowMax and Xero work together to provide a complete end-to-end solution for business consultants. You know you’re getting beautiful, industry-leading business tools and a seamless transition of data from project management to accounting. Clients can be demanding, but that doesn’t mean your professional services software should be. 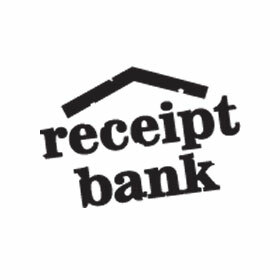 Invoice based on time or quote, create progress and retainer payments, and change all the details to suit your needs. WorkflowMax is the all-in-one job management software built with you in mind. As a business consultant you know business, your expertise and insight help businesses change, grow and deliver. WorkflowMax is beside you every step of the way managing your internal systems allowing you to get paid for implementing your clients systems and processes. Your business relies on building relationships, use WorkflowMax’s lead manager and collaboration tools to keep track of the discussions you have with your potential clients. Create a quote for your lead and when the engagement letter or tender is accepted push the button and the job is activated and client created in WorkflowMax, with all information in one place. You can even store the signed contracts within the job. Use the job manager to manage your workflow, at a glance see when you can fit more work in or when you need to bring in more resources. Adjust lead times as things change, and have visibility at anytime of day or night from anywhere. Build your consulting methodology into WorkflowMax so you and your staff know what’s next. The template is there to generate into a quote or job, saving set up time allowing you to just get on with your billable time. If you have regular costs or disbursements these can be part of the template, of course jobs can be set up on an adhoc basis as well. Keeping track of your time in WorkflowMax saves you time! Enter your time directly against each job as frequently as you need, from anywhere in the world. Workflowmax will calculate the billable value. As soon as your time is entered, the work in progress is shown against the job. Workflowmax even takes care of variable rates for different clients, tasks, or staff, daily or hourly rates - no more wasted weekends or late nights slaving over a spreadsheet! Whether you bill at the end of a job, on completion of deliverables, monthly, or a combination, WorkflowMax will be as flexible as you are to your clients. Because all your time and costs are up to date all the time in WorkflowMax, you can see at anytime what you are due to bill your clients. Managing cash flow has never been easier. WorkflowMax also gives you the tools for good workplace systems, you can limit your staff to have access to only the functions they need. Keeping your financial information as private as you need. You’ve input some quality data into WorkflowMax - you’ll love the outputs our reporting function will give you. Not only do we give you dozens of standard reports, but combined with our customised fields, you will be able to create a report for any possible outcome. WorkflowMax - the all-in-one job management software built just for you. It's the all-in-one job management software. Online and accessible from anywhere. You have all the details you could ever need, at anytime. With WorkflowMax you can stay informed about every aspect of your company, from wherever you are. See at a glance which consultants are out on the job, and how many billable hours you’ve logged for the month. Monitor budgets from the dashboard and receive notifications when a project is about to go over. Want to see which clients haven’t paid and which types of project earn the most money? Get all the insights on your consultancy firm’s inner workings with clever custom reporting. Being on the road is hard work, but at least you don’t have to worry about losing access to everything you need. With WorkflowMax as your professional services software, you can share proposals, presentations, media files, reports and other document types with other staff and clients. See which jobs have been assigned to you, look up client information, and track your time with ease. With a millions projects on your plate, you’re going to love the simplicity and time-saving of professional services project management software. Enter time and manage projects wherever you are, whether that’s at a client’s office, on the road, or from your couch at home. Break jobs down into tasks and costs so you can track every stage. Store assets and projects files and collaborate with the rest of your team – you’ll never lose an important document or miss an alert. See at a glance in the schedule which consultant is working on what job, so you can plan tasks accordingly. Quickly and easily pull reports on your consultants, clients and contractors, so everyone has clarity on the number of hours worked each month. With time logged accurately, payroll takes minutes, instead of hours. Plus, in WorkflowMax consulting software you can store all the information about each job in one location – filing has never been so simple. WorkflowMax integrates with over 30 world class apps. See all of them. My team of travelling consultants needs something that can record the time they spend on different client projects. Will WorkflowMax do this? We’ve got you covered in that department: Our time tracking functionality includes six different options, so your team can choose the method that works best. For helpful tips on tracking and entering time using WorkflowMax, watch this quick 1:36 minute video. As a busy professional services firm, you’ll have tons of jobs on the go at once. If you accidentally enter time under the wrong job, you can easily move it to the correct job in just a few simple steps. This video offers step-by-step directions in under a minute. Our professional services firm bills using fixed fee/hourly/a random combination of all these. Can WorkflowMax deal with this? We sure can! With WorkflowMax as your professional services project management software, you can incorporate calculated price and fixed price on every quote and invoice. Check out the invoicing options for more details on just what you can do. My team is always on the go. Sometimes our consultants aren’t even in the same country. Do you have a mobile app? We sure do! With the WorkflowMax iOS app, you can see your daily tasks at a glance, access client information, capture time, and manage job details effortlessly, all from a clever interface from your smartphone. Not on an iOS 9 compatible device? No problem! We have a mobile platform that works on your phone’s browser. Simply save m.workflowmax.com as a bookmark, and you’re able to work from any device, at any time, from anywhere in the world. For more information, visit our mobile job management section on our website! Is there a way for clients to log in to view projects? Great question! You can set WorkflowMax to allow clients to log in and see the progress of their jobs. Plus, this is a fantastic way to add value to your clients and stand out from competition. Contact one of our product specialists if you need help setting this up. Each of our jobs involves a range of documents. We’d love to be able to share them via WorkflowMax. What are your storage limits? You can store up to 25GB of documents (for FREE) on WorkflowMax servers, which enables you to cut costs on cloud storage. Plus documents uploaded into WorkflowMax marketing tracking software can be pushed into Box, Dropbox or Drive. With powerful marketing project management software like WorkflowMax, your clients will be able to see all of your pretty creative. We run our consultancy in the cloud. What other products does WorkflowMax integrate with? We’re glad you asked! WorkflowMax consulting project management software integrates with a huge variety of other apps, and has a number of great add-on solutions to help you manage your business. Integrate the services you use for accounting, CRM, staff scheduling, time tracking, document management, payroll and so much more. For a full list of products that integrate with WorkflowMax, visit our Add-On page. So … I heard you integrate with Xero. What does that mean for my professional service firm? Xero is a simple, beautiful cloud accounting solution that’s taking the world by storm. 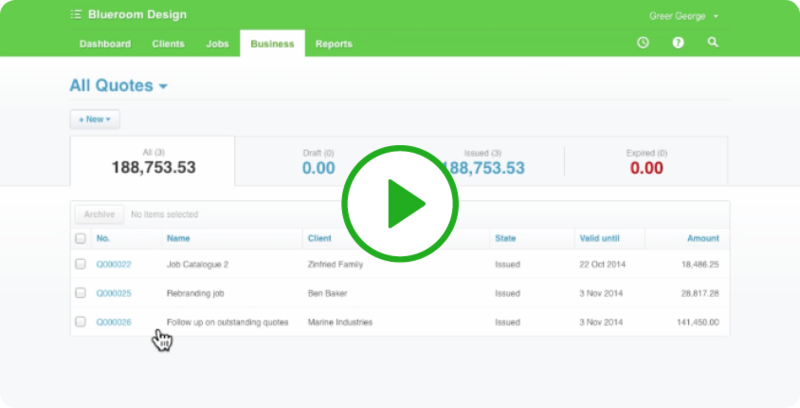 WorkflowMax offers the best integration with Xero Accounting of any available app. If you really hate admin, you’ll love the way Xero and WorkflowMax move data between each other with a single click. It’s great for consulting and professional service firms as it enables you to manage invoices and payments from one location. For more information, check out our Xero Integration page or watch our helpful Xero Integration tutorial videos. We have an awesome freelance team who come on board when we need extra assistance. Can they use WorkflowMax too? Of course! That’s the advantage of having your consultancy project management in the cloud. Your contractors can log in from any location on earth and track their time against the jobs assigned to them. You can even restrict access to certain jobs or functions to maintain complete control over who sees what. Contact one of our product specialists if you need help setting this up. What are the best videos for training my staff and clients on the product? Our WorkflowMax TV section is the best place to become more familiar with your shiny, new WorkflowMax toy. Check out our “Using WorkflowMax” section for helpful step-by-step tutorials and training videos. To learn how to set up your WorkflowMax account in under three minutes, watch this super helpful tutorial video. If your agency needs help setting up your account, contact one of our IT Setup Partners. These guys are professionally trained software experts who will be happy to help you get started with WorkflowMax.